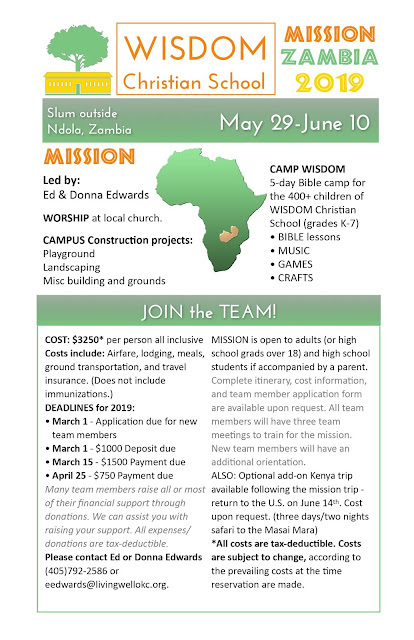 We are making plans now for Mission Zambia 2019! New team members: Download application and mail to LIVING WELL, PO BOX 72028, Oklahoma City, OK 73172 or email to eedwards@livingwellokc.org . For returning team members: Please notify us as soon as possible. First payment is due March 1, 2019. Mission Zambia 2019 will be May 29 - June 10, 2019. For questions or more info, email us at info@livingwellokc.org .